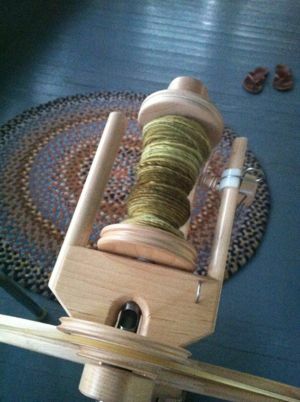 This entry was posted in knitting, out of doors, spinning and tagged boh, fire, hello yarn, knitting, snowbird, spinning, sprout by barefootrooster. Bookmark the permalink. Love your blog….dogs and knitting does it get better than that? Only if you add some yoga. Yay for spinning and knitting! 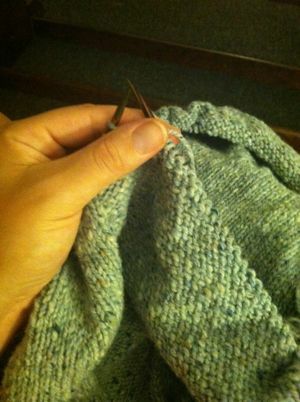 I totally agree with you — knit what you WANT to knit, not what you feel like you HAVE to knit. Hobbies are supposed to be fun. 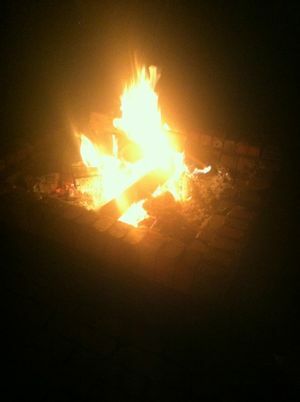 :) And that bonfire looks so fun! 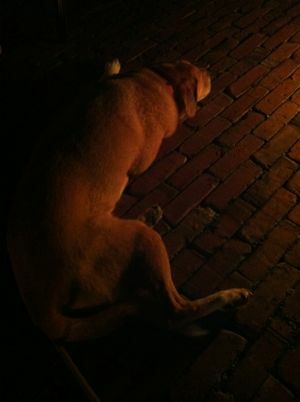 Thanks for sharing the adorable photo of Mr. Boh. No jinxing aloud …. just taking the time YOU need as you need it … and finding your way back to the things you most love and find nourishing, perhaps? Snowbird is looking terrific, and hooray for these last days of summer. Sounds like you are making the most of it.